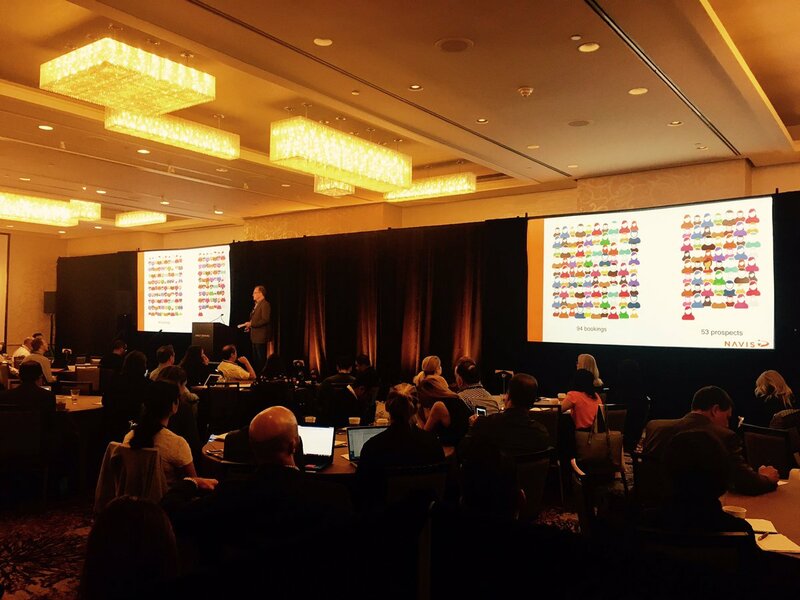 Direct Booking Summit Americas: Over And Out! As the curtain falls on the Direct Booking Summit in New York, it’s time to reflect on everything we’ve learned over the last two whirlwind days. Aside from the fact that hoteliers really know how to party — we have the blisters on our feet from last night’s party to prove it! — we discovered so much about an industry that feels more exciting and inspirational than ever. Sound schmaltzy? Maybe - but it's true. The Summit was absolutely fizzing with energy from start to finish, as hoteliers opened up about what they loved (and hated!) about the ever-changing online travel industry. One hotelier told us, "I used to think I was the only one with the problems at my hotel - but then I came here and I heard everyone struggling with the same. I love it." Another, "the content is amazing. I'm leaving with a bunch of notes on actions that I can take back to my hotel and share with my whole team!" Last year, we were following hot on the heels of Marriott and Hilton's 'book direct' campaigns, and it felt like hotels were still figuring out both the extent of the problem and whether there was anything they could do about it. This year, it felt like there'd been a real sea change. Hotels were swapping strategies left, right and centre, and speakers were focussed on the tangible changes that hoteliers needed to start putting in place. Cindy Estis Green of Kalibri Labs kicked off Day 2 with a deep dive into how to account for every cost that goes into acquiring a guest. Based on that data, she told us, "every one of you needs to figure out the optimal business mix for your hotel." Rather than continuing with the way things have always been done, GMs and revenue managers need to be prepared to instil real change in their operations. "We can't operate with analogue thinking in a digital world." In his Direct Booking workshop, Chief Tease Charlie Osmond addressed the topic that is repeatedly touted cure-all to every hotelier's woes: data. Data is useless until it's interpreted correctly. "Too often we're seeing people misinterpret their data, or read things into their data that they want to see," said Charlie. "The truth is, you've got to be testing things at scale before it means anything. You really do." "If you do the maths, an average hotel would need to be running an A/B test for two years before they had a high enough volume of conversions to draw statistically significant conclusions." Sounds a bit doom-and-gloom - right? Far from it - hoteliers can still make the right decisions based on the right research, but should treat 'data' (as an undefined buzzword) with the caution it deserves. It's all about what works for your hotel, your team and your guests - and that combination will be as unique to you as your fingerprint. Before our jetlagged and (nearly delirious) content team rambles into incoherence, we'll wrap up the highlights for now - but make sure you subscribe to the blog to stay tuned for videos, interviews, photos, and testimonials from the industry event of the year! Besides, this post is just a snapshot of the action from New York’s Direct Booking Summit. We haven’t got the room to do the lively debates had by delegates and speakers justice, let alone the dance floor moves we witnessed at the penthouse party! Luckily, we’re hosting a sister event in Barcelona on October 18th and 19th. There is still time to book your ticket and your chance to learn about the best direct booking strategies in the business, along with the latest on loyalty, personalisation and much, much more. Register using the form below.